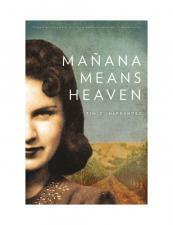 This month’s #Bookhour Twitter chat will be on Mañana Means Heaven by Tim Z Hernández and Dr Niamh Thornton (@enortee), senior lecturer in Latin American Studies will be one of the discussion leaders. This is a fictionalised account of Bea Franco, Jack Kerouac’s “Mexican Girl”, and considers what motivated this young married woman from a tight knit community to have an affair with an Anglo traveller. The author has promised he will be tuning in and may even join the chat. To see the questions to be discussed, take a look at the US Studies page and follow the #Bookhour hashtag from 9pm on Tuesday or join in the discussion. Professor Geoff Eley (University of Michigan) is to deliver the Collinson Lecture in German Studies. 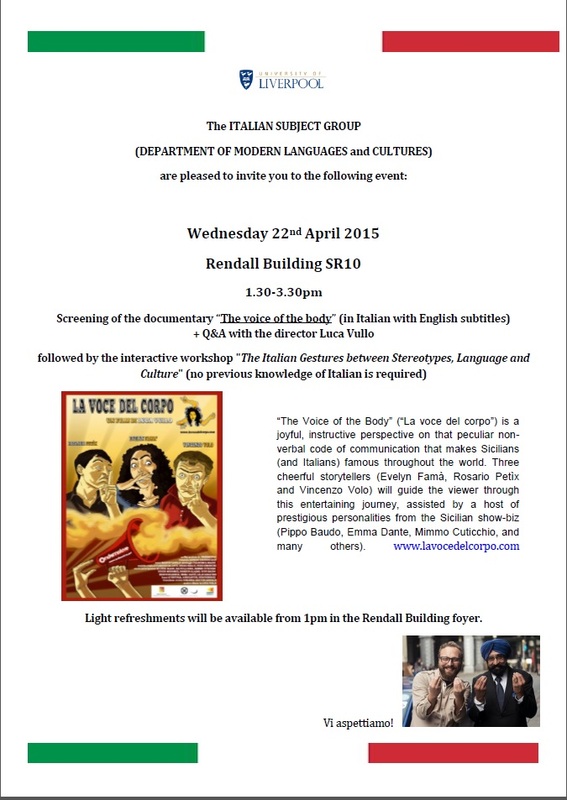 Taking place on Wednesday 6 May from 4-6pm in Rendall Lecture Theatre 1. Lecture title: ‘Telling Stories about Sixty-Eight: Troublemaking, Political Passions, and the Enabling of Democracy’. Professor Geoff Eley is the Karl Pohrt Distinguished University Professor of Contemporary History at the University of Michigan, Ann Arbor. He is one of the most distinguished historians of modern Europe not just in the US, but anywhere in the world. 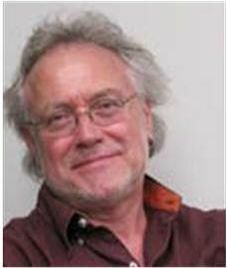 Professor Eley is the author of ten books, and the editor of eight others. His books have been translated into German, Japanese, Spanish, Portuguese, Greek, Turkish, Serbian, Catalan and Korean. He has published 158 essays and articles in numerous publications on a wide range of subjects both in English and in German. His CV lists 404 talks, lectures and papers delivered at a wide range of conferences, symposia and universities. Professor Eley has held four visiting professorships, and has been invited to spend time at six Institutes of Advanced Studies on two continents. He has held a German Marshall Fund Fellowship, a National Endowment for the Humanities Fellowship, and a Guggenheim Fellowship in 2001-4. You are all warmly invited to come and join us in this seminar where Prof. Luis Correa-Diaz will introduce us to his research and work. The presentation will be followed by a Q&A session and, after a small recess, we will engage in a hands-on analysis and translation workshop of his selected texts. Dr. Correa-Diaz is a Professor of Spanish at the University of Georgia in Athens, U.S. and a member of the Academia Chilena de la Lengua. 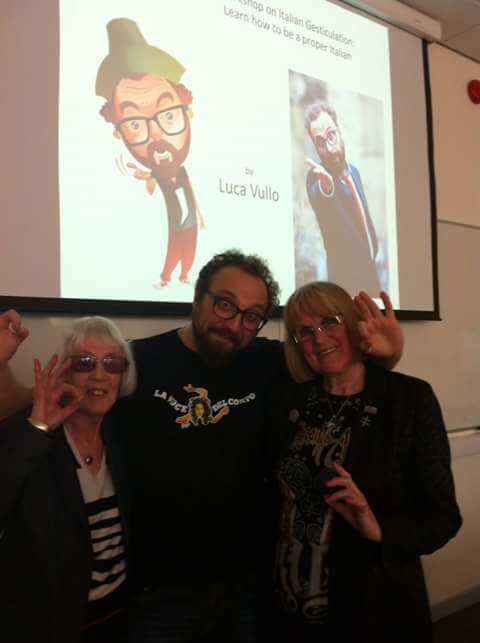 He has research interests in Latin American & Spanish Poetry, Critical Theory and Cultural Studies, Human Rights, Science (cosmology) and Literature, and Digital/Cyber. He is the author of works such as: Cervantes y/en (las) Américas: mapa de campo y ensayo de bibliografía razonada; Una historia apócrifa de América: el arte de la conjetura histórica de Pedro Gómez Valderrama; Todas las muertes de Pinochet: Notas literarias para una biografía crítica, and Lengua muerta: Poesía, post-literatura & erotismo en Enrique Lihn. His poetry books are: clickable poem@s [forthcoming], Cosmological Me, Mester de soltería, Diario de un poeta recién divorciado, Divina Pastora, Rosario de actos de habla, Ojo de buey, and Bajo la pequeña música de su pie. This event is free to attend but please book by emailing Marina (rabadan@liverpool.ac.uk) or Diana (dcullell@liverpool.ac.uk). The languages used during the seminar will be English and Spanish, students of all levels are welcome and texts to be used during the workshop will be emailed later in the week. 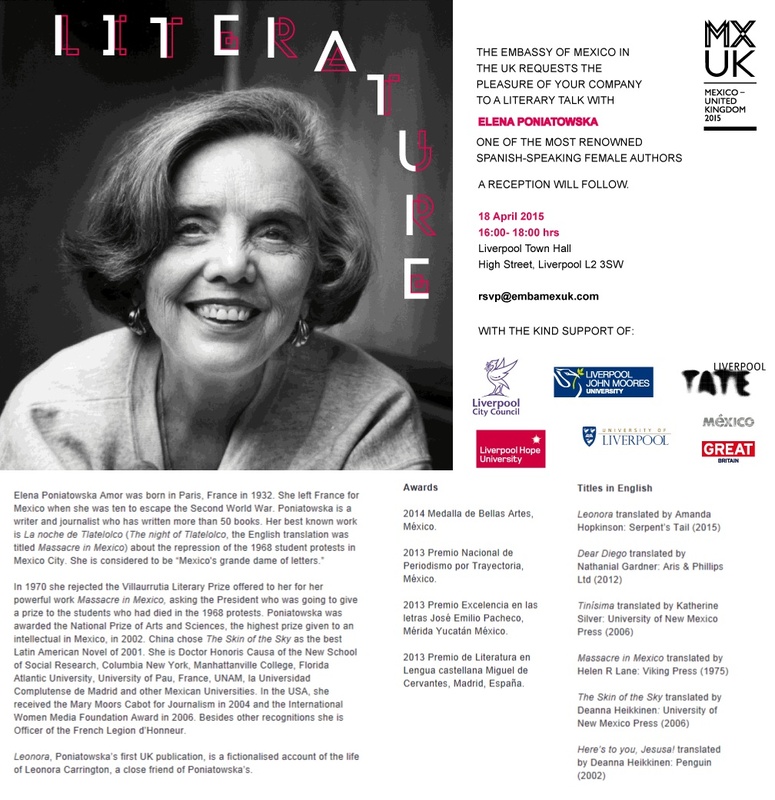 We are delighted to announce that the Mexican writer, Elena Poniatowska will speak in Liverpool. Prof Chris Harris and Dr Niamh Thornton have both published on this great writer and activist, and Dr Thornton will moderate the talk in Liverpool Town Hall. Elena Poniatowska is in Liverpool to tie in with the Tate Liverpool exhibition of Leonora Carrington’s work, having written a fictional biography of the Surrealist artist. Post-graduate Poster Day Winner, Ailsa Peate, shares her experience. 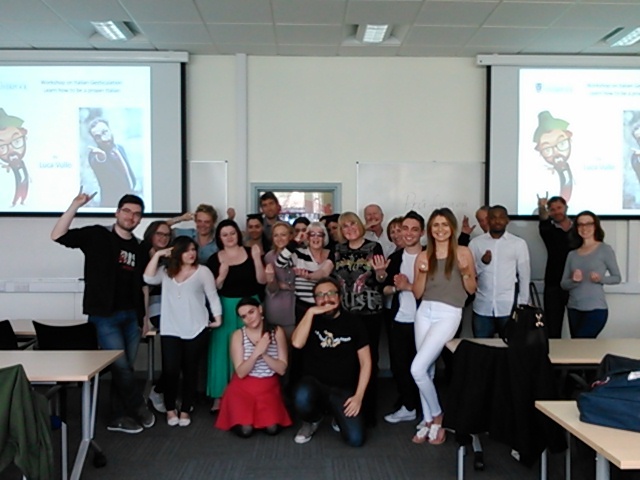 ≈ Comments Off on Post-graduate Poster Day Winner, Ailsa Peate, shares her experience. We are delighted to announce that Ailsa Peate, one of our post-graduate students in Modern Languages, won the Faculty of Humanities and Social Sciences award. Here, she shares her process and experience. 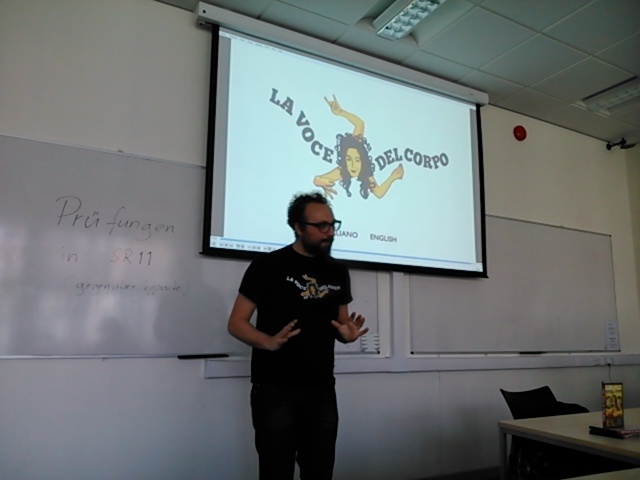 “My research focuses on Mexican and Cuban detective fiction, and when I began to think of how to express this on a poster – without infringing on copyright! – I found myself stuck. As my research deals primarily with close literary analysis, I don’t often have the chance to consult images or diagrams, and as I analyse fictional texts rather than data, I wasn’t able create charts to illustrate my conclusions so far. In the end, I decided that as my research deals with subversive and often unpleasant concepts linked to crime fiction such as physical and sexual violence, I would try to communicate this through a colour scheme of black and red to highlight the genre’s background in darkness, crime and blood. By using some of the more iconic covers of the novels I use in my research as well as artwork by an artist with similar interests to my own, I was also able to physically express my research interests. I tried to keep text to a minimum in order for the poster to look more accessible, so other than the compulsory abstract I included some bullet points of research questions I’m dealing with currently and my conclusions so far. I was initially sceptical about Poster Day, as I had always assumed informative research posters were reserved for those in the Sciences. However, after arriving and setting up, wandering around and having a look at the other posters on display was a great way to get to see what’s going on more widely in HSS and across the other faculties. I found other postgraduates with similar research interests, and we were able to talk and make suggestions on each other’s work. As a result, the day went much faster than I’d assumed it would, as from the outset it looked like a lot of standing around. The judging process began before the break for lunch and lasted about ten minutes. 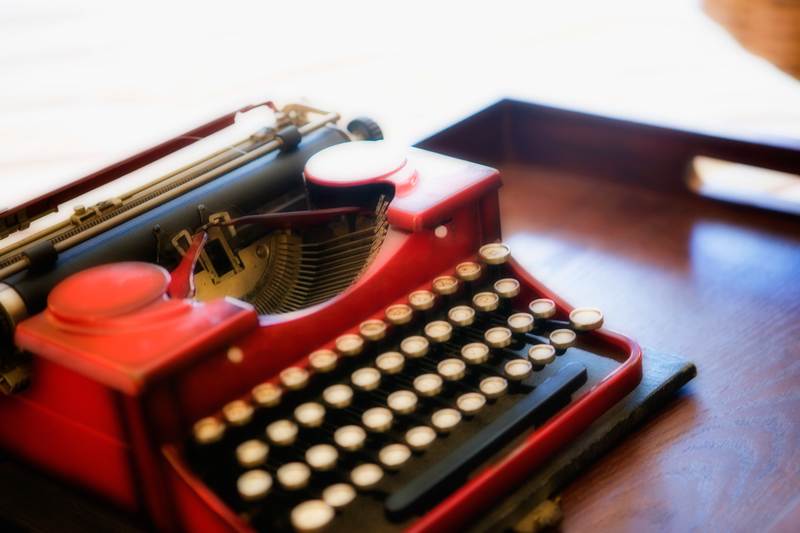 I was asked questions about my research, for example on the biggest differences between Mexican and Cuban detective fiction and the genre’s history in each country. A big congratulations to Ailsa on her achievement! 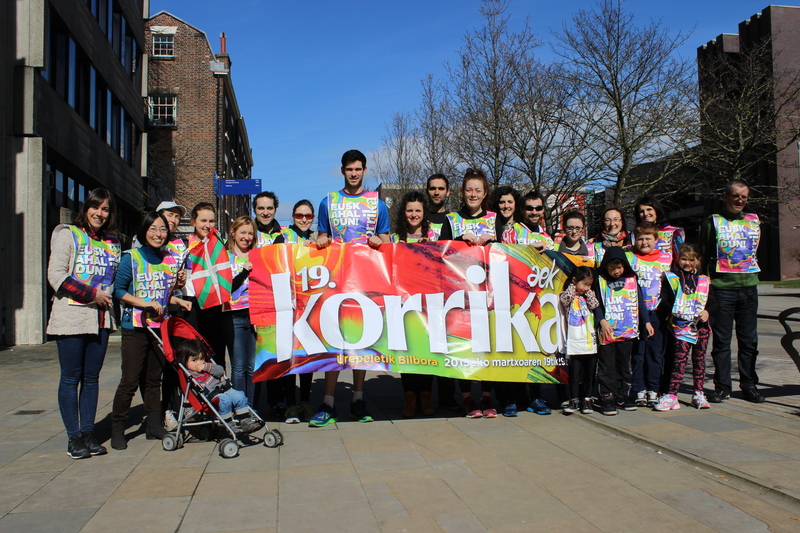 The “Korrika 19” visited Liverpool on 21 March in an event organized by the Basque Studies Programme of the University of Liverpool. 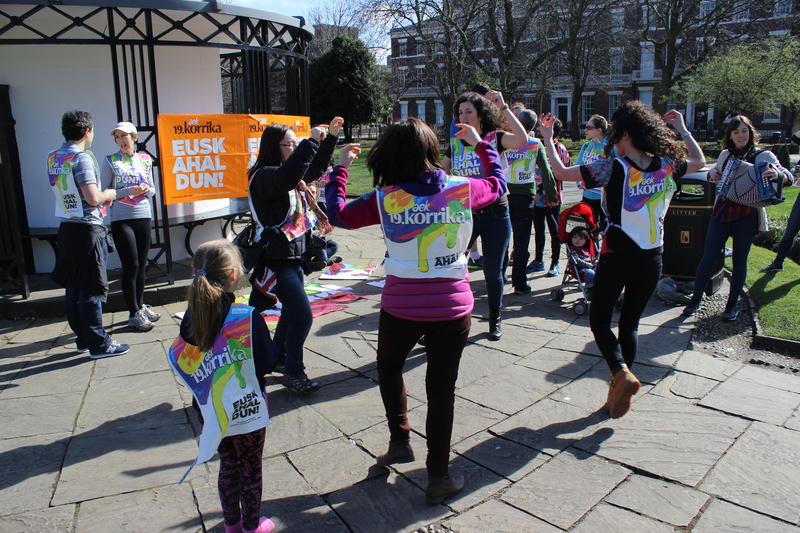 Basques and supporters of the Basque language from across the North West got together to celebrate a very special occasion. 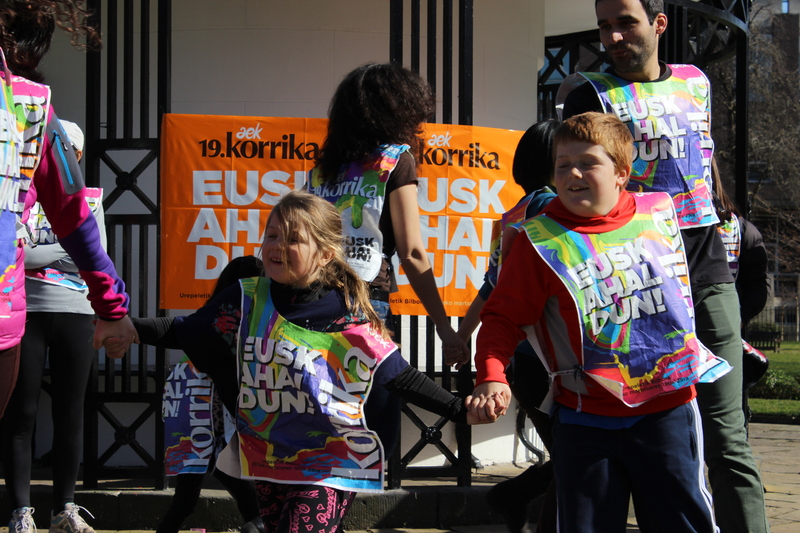 The Korrika is a giant charity race to promote the Basque language that takes place all across Euskal Herria, the Basque Country. 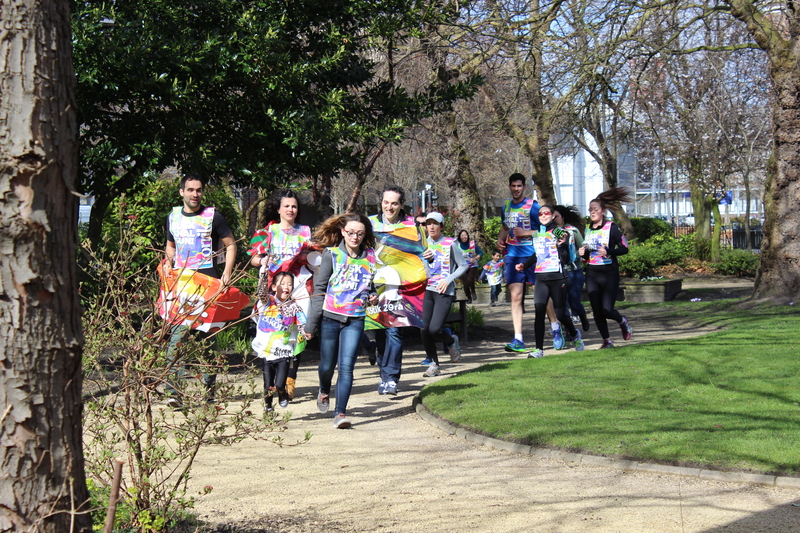 Its ultimate aim is to raise funds for the euskaltegiak —Basque schools for adults— but it has also become a prominent symbol of the support that a vast majority of the inhabitants of the Basque Country shows to the Basque language. The Korrika is held every two years. This year has reached its 19th edition, starting on 19 March in Urepel —Northern Basque Country— and finishing ten days later, on 29 March in Bilbao. From the start to the end, the relay or lekukoa, which carries the Basque flag or ikurriña tied to it, is passed from hand to hand every few kilometres. Thousands of people have participated in the previous editions, and the number is ever increasing. The main organizer is AEK, a grassroots movement born in the 1960s whose aim is to teach adults the Basque language. We will continue organizing the Korrika in the near future. See you in two years’ time!